Buying a MIG welder, although exciting stuff, can in some ways be a challenge. There are many seemingly good products out there that you can choose from and if you know what to look for and what to stay away from, it can be helpful during your buying process. 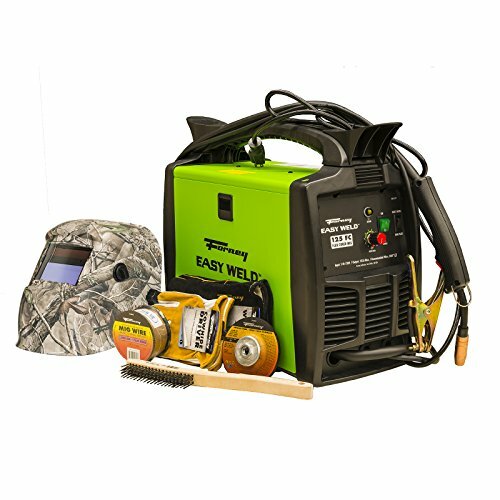 Finding the best MIG welder under $500 can ensure that your welding needs are taken care of for years to come. We compiled MIG welder under $500 reviews to give you a bit of a head start and narrow down your search. These reviews include the best and the worst products that we could find. Afterward, we will also take a deeper look at the things you should consider before buying. 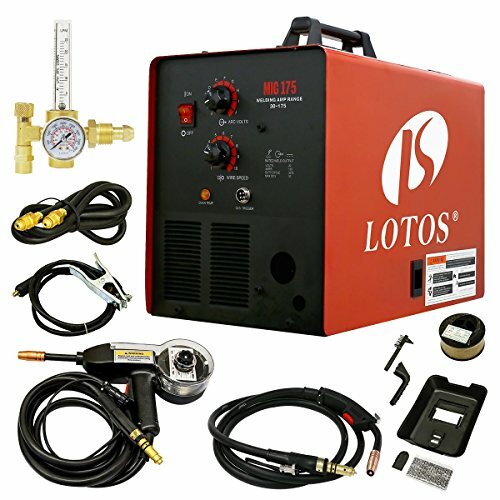 The LOTOS MIG 175 is one of the best welders there is under $500 that we could find. This awesome machine runs on 200 – 240 Volts and has a welding output of 175 Amps. The best thing about this MIG welder is its versatility. It is powerful enough to cover a wide range of welding jobs and will weld most metals. Depending on where you buy, you may also have the option of including a spool gun. Spool gun allows you to keep your torch further away from the metal, preventing the flux-cored wire from jamming, making it possible to weld aluminum. This welder is powerful and durable. It makes use of transformer technology and setup time is around 10 minutes. Whether you are a casual handyman or industrial steel construction professional, this welder have what it takes to meet all your welding requirements. It is easy to handle, setup and use. Forget MIG welders under $500. The LOTOS MIG175 is a top pick for welders over all price brackets! Coming in at a close second is the Hobart 500559 Handler 140 MIG. This solid MIG welder weld 24 gauge up to ¼ inch steel and runs on 115 Volts. It is a pretty versatile model and, although not as powerful as our top pick, it still offers you plenty of options when it comes to different welding applications and features. Included with the welder are a built-in gas valve, a 10 foot MIG GUN, ground clamp, 10-foot power cord, and 8-inch spool adapter. This welder has a welding output of up to 140 Amps and industrial cast aluminum wire driven system. 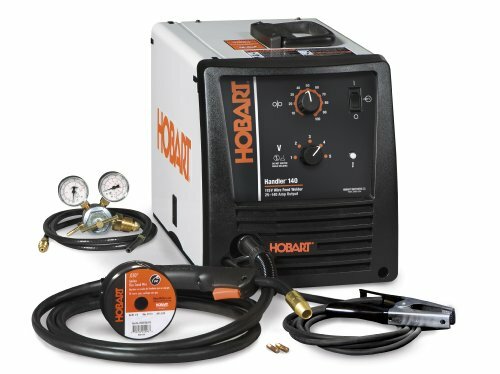 This welder is ideal for the novice handyman, as it will not limit you in terms of heavy-duty or long-term welding projects. It is perfect for professional steelworkers and automotive body welders as well. 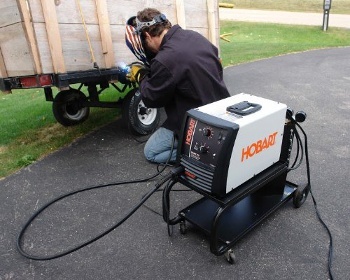 If you need a solid, hard-working MIG welder, the Hobart 500559 is for you. 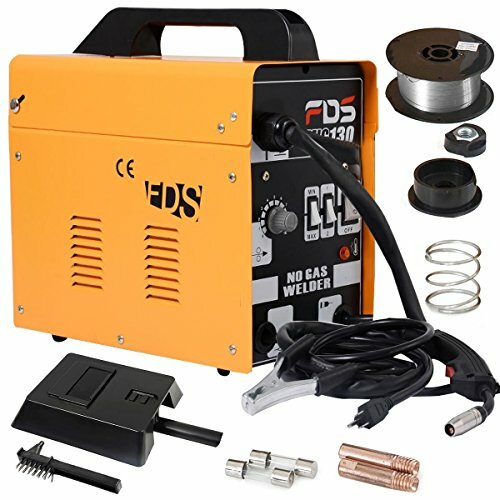 As a casual handyman or hobbyist, you may just be looking for a solid, high-quality welder that will be able to do most welding jobs around the house or in your workshop. The Goplus MIG 130 offers you the best value for money in this price range. It has automatic terminal safety protection to expand its lifetime and has many adjustable features. These include 4 levels of current flow settings and 10 levels of flux-cored wire feeding speeds. These adjustments depend on the type of metal that you will be welding as well as the thickness of the material. The welder itself is compact and easy to shift or move around. If you are a traveling handyman that do smaller welding jobs, this is the perfect product for you. It runs off of 110 Volt outlets and is perfect for household use. This may not be the most versatile welder in terms of completing heavy-duty or commercial welding jobs, but, as a high-quality and durable home welder, it is the best value for money that you can possibly get. This starter pack from Forney, although handy in terms of the accessories that you get, is not as versatile as some of the other picks on this list. It operates on 120 Volts, which isn’t bad for a starter model, but you will have a ceiling when you want to tackle some heavier welding jobs. Having said that, Fornier developed this MIG welder with the novice in mind. Operating the welder is relatively straightforward and easy. It works with flux-cored wire and doesn’t require any shielding gas. You can choose between sheet metal or thin plate depending on what you want to weld, and you can’t use this machine to weld aluminum or stainless steel. You can also control the flux-cored wire feed speed, depending on whether you are welding thin plate or sheet metal. Generally speaking, this is not a bad welder. It looks awesome and it is easy to use. This biggest problem with this MIG welder, however, is the fact that it lacks versatility. This MIG welder runs of 110 Volts and produces a welding output amperage of up to 140 Amps. It can weld steel that is up to 3/8 inches thick and uses flux-cored wire. This welder, although standardized in terms of components and consumables, is somewhat of a disappointment as far as quality is concerned. The wire feed mechanism is known to be flimsy. Despite upping the tensioner’s tightness, you may find that the wire feed will keep going, rendering your welding job impossible to complete. This can be fixed, but you will have to spend some time to do so. This welder also has some issues when it comes to ease of use. It is bulky and heavy, the regulator hose is rigid and may be too short, and it will short a 20-amp breaker, without even being used to full capacity. You may consider this welder because of its reasonable specs, but we recommend that you keep looking. After reading our reviews on Mig Welders, you may be wondering what features you need to consider before buying. There are significant aspects of MIG welders that you need to consider before buying in order to make sure that the welder will meet your personal needs and requirements. Home welders that are typically used by casual hobbyists or DIYers run at 115 Volt. These welders are mostly aimed at welding thin metals and will struggle when using them for thick metal or heavy-duty jobs. When you need a welder for things like carport construction, we recommend that you consider MIG welders that run on 120 Volts to 230 Volts. Flux-cored or Gas-shielded MIG Wire? Lower-end MIG welders use flux-core wire that doesn’t need shielding gas. The problem with these wires is that they form a layer of flux on top of the welding that you have to remove. This compromises your welding job’s appearance. If you require your welder to do a neat job, choose a MIG welder that uses gas-shielded wire. If you weld aluminum, the wire may jam in your torch. When you use a spool gun, it enables you to keep the torch further away from the aluminum. This will prevent jamming and make your welding job easier. If you don’t use flux-cored wire, make sure that you use a high-quality shielding gas regulator. This will help you use less gas and save you money in the long-run. Thank you for reading our buyer’s guide and reviews of MIG welders under $500. 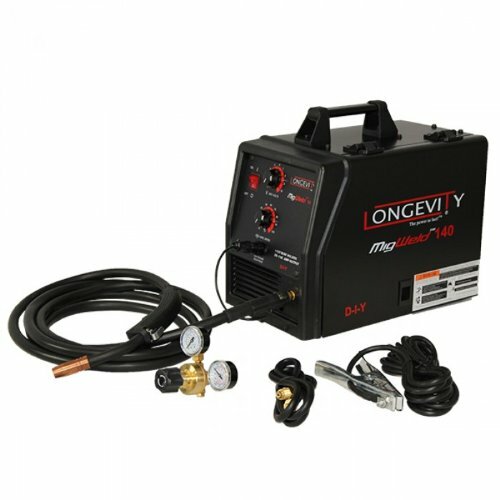 To conclude, our undisputed winner is the LOTOS MIG175 175AMP, a solid, high-quality, and powerful welding machine that is versatile and that will enable you to do a wide range of welding jobs. If value for money is important to you, we suggest you consider the Goplus MIG 130, a lower-powered welder, but that is durable and perfect for your private welding jobs. It is important to make sure that you get the best quality possible. Also, try to get a welder that has more power than you need. This will give you some elbow room the day you want to weld a thicker plate. Now, you can make a list of your personal requirements and go and browse for your new welder. Hopefully, our reviews and guide have helped to streamline your search and narrow down your options.